Can you believe it? Christmas is only 6 days away! I hope you are almost finished with that last minute shopping and enjoying the time with family and friends. In addition to celebrating the birth of our Savior, one of the things I enjoy most about this time of year is taking the time to reflect back on the past year and gear up for the new one. What worked well? What didn’t? Is there something I’d like to try to do differently next year? The same holds true in the blogging world. 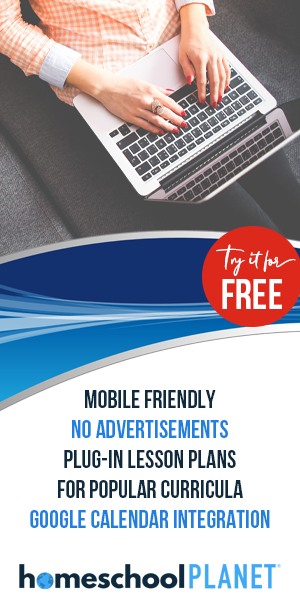 It’s always fun to look back on the posts my readers have enjoyed the most over the past year as it gives me ideas for what you might like more of the NEXT year. It also provides you with great reading material while I enjoy my annual family internet-free vacation. 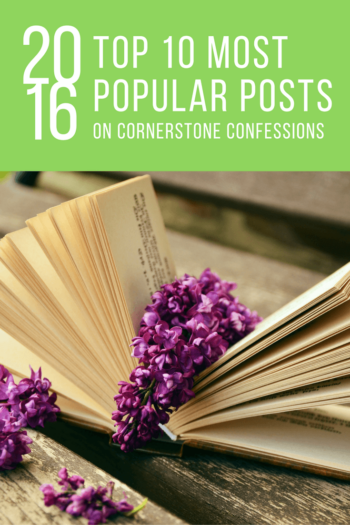 As such, here are Cornerstone Confessions’ top 10 most popular posts of 2016. Miss one? Feel free to to go back and read as you are relaxing after that Christmas dinner. Merry Christmas! There are often two sides of every coin and the longer I homeschool my girls the more I see it. Upon graduating from college I spent 7 1/2 years in the public school system as a music teacher. I enjoyed it, and loved the kids I had in my classroom to pieces. However, I always said that one day I would homeschool because I considered the public school a mission field not a home field. 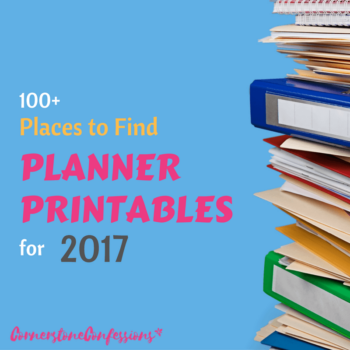 #1 FREE 2017 Calendar Pages Now Available! What was your favorite Cornerstone Confessions’ post of 2016? 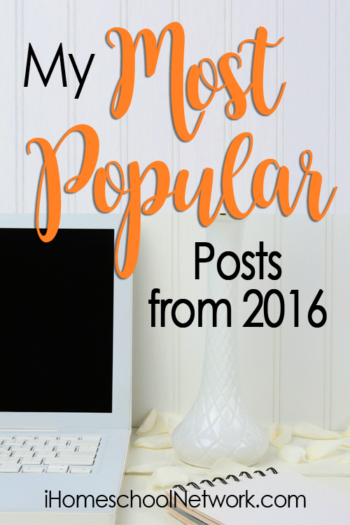 Coming January 9, 2017…be inspired by others’ most popular posts in this amazing homeschool posts roundup!